Are you creative?? 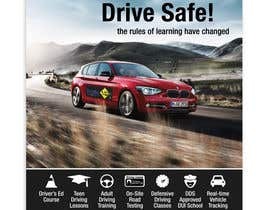 Help me design a magazine ad advertising my driving school, [login to view URL]! 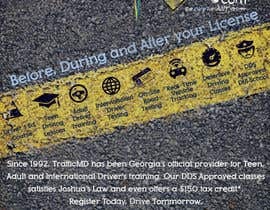 I also need a QR scan code to direct viewers to TrafficMD.com. 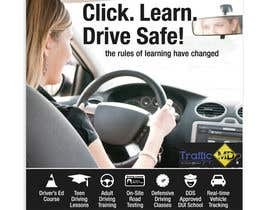 We are a driving school that offers classes and sales safety products. The ad will have our logo, telephone, address, QR code and graphics. The ad will be a vertical FULL PAGE COLOR with size 8.25 x 10.75. The website is next project and I am currently seeking web developers. 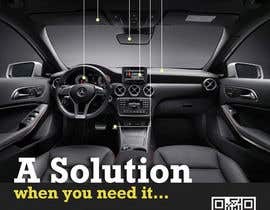 My logo is attached to contest [login to view URL] speakers that want/need to learn more about driving services and products. I included 1 idea, but WELCOME YOUR IDEA, STYLE and CREATIVITY. Idea #1: Ad with a road background. I created a "rough" sample ad in Microsoft Word. I can use the logo icons horizontal or vertical. I am including some road backgrounds that I saw, but I am open to any other ones. 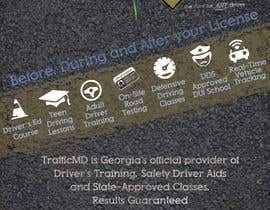 I looked on [login to view URL] for roadway backgrounds. If you want to use one of these or see another one....I can buy it from the website, if needed. I'm ready to see some great designs and award someone US$151 dollars. I updated the contest details with an AD concept. I am available for immediate feedback. I wish to choose a winner soon and not wait til end. Thanks. I will draw a sketch soon and post with my files. 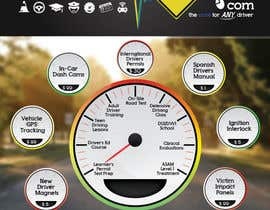 The overall idea is similiar to magazine articles that introduce a new car. 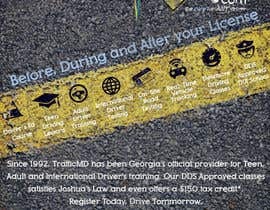 The ad will post a picture of the car with lines pointing to different areas of the car. Each line has a brief description. Sketch coming soon. Hi, this is challenging task! I was checking all the pictures you have attached and have read your brief, and I would like to ask you for one more picture. Could you please sketch your idea... something really simple-drawn fast. It might help your initial idea get to really cool design. Thank you. I have updated the contest details. Let me know if this is more clear. 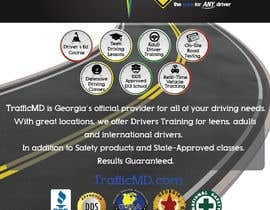 Hi TrafficMD!! I have submitted my artwork along with a magazine mock-up so that you get an idea of how it will look like. Waiting for your feedback. Thanks! 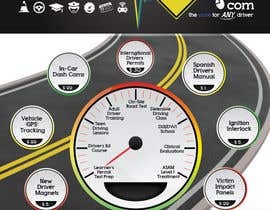 Thanks....I am still brain-storming and looking for ideas to connect my driving school services and products with ANY driver. 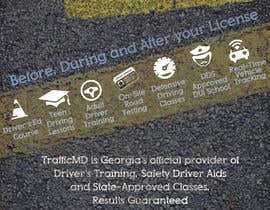 I offer classes and driving lessons to new drivers and drivers with police problems. 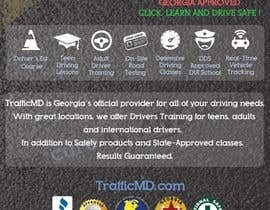 I also sell student driver magnets, vehicle tracking for parents and other safety products. 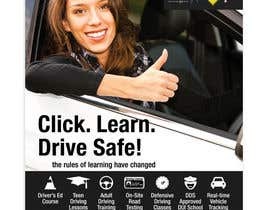 How would you design an effective ad to attract the eyes of any driver....teenager, mother, driver with problems? Some ideas are to make a composition of different people with thinking clouds. Any ideas? Would it be a problem if i included a different but similar picture type? I have updated the contest details. 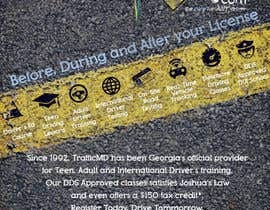 Take a look and let me know if you have any questions. 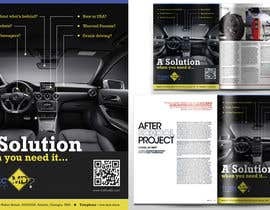 The magazine ad is full color.....so I think a REAL picture will be a great concept. Please avoid tooo much words/text. 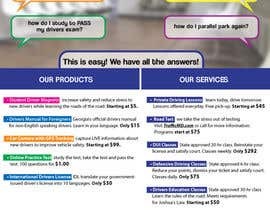 Looking for a clean ad with 1 focus point that will advertise my services and products. Maybe a manual car shifter picture with 10 gears. Just giving some ideas....but welcome your own.